(Lexington, Va.) — Gov. Ralph Northam won’t be speaking at Virginia Military Institute in Lexington next month. 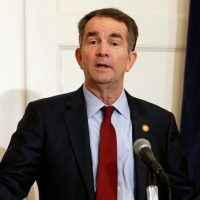 Notham had been scheduled to deliver the commencement address at his Alma mater, where he served as president of the honor court during his senior year at VMI; however, the controversy over a blackface photo and a comment in a 1981 VMI yearbook continue to haunt the governor. The yearbook included a reference to the future governor as “Coonman,” a term used as a racial slur. Northam previously spoke at VMI’s 2014 commencement when he was lieutenant governor. Virginia’s governor has also pulled out of an event where he would have faced protesters for wearing blackface in the 1980s. The Washington Post reported that Northam cited safety concerns for cancelling his appearance at a Sunday fundraiser for a Democratic state senator in northern Virginia.